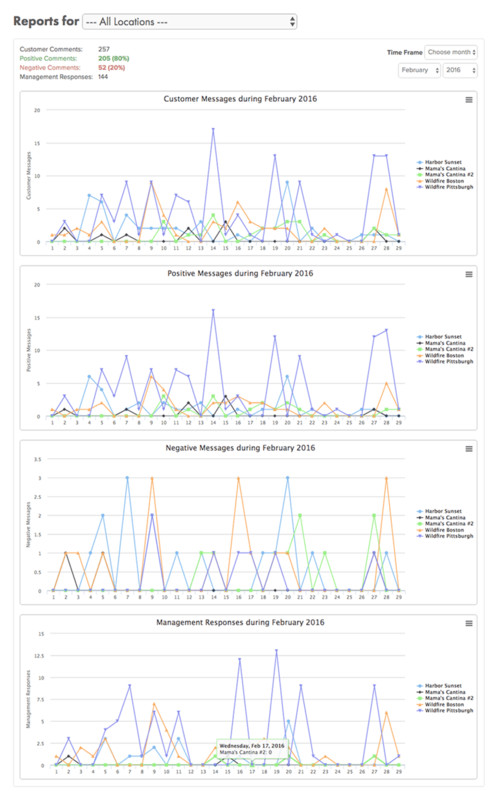 We use automated algorithms to determine the sentiment (positive/negative) of your customer messages, and provide information on message sentiment and volume in these easy-to-read reports. With our informative reports, you'll be able to track progress and improve each month, and help you discover operational trends so you can adjust quickly. This is the overview of your organization. We present message volume and sentiment for the given time period. 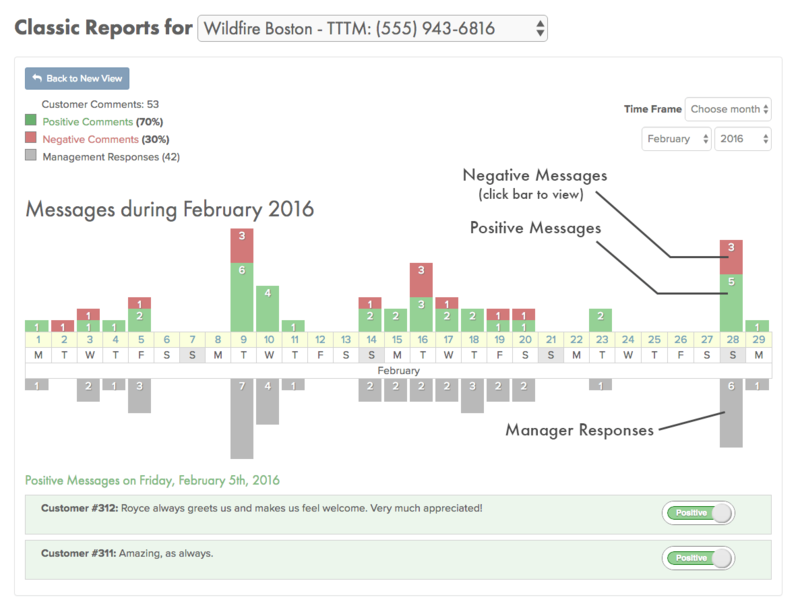 YOu can view a single location to view customer messages, positive/negative messages, and manager responses in one view. 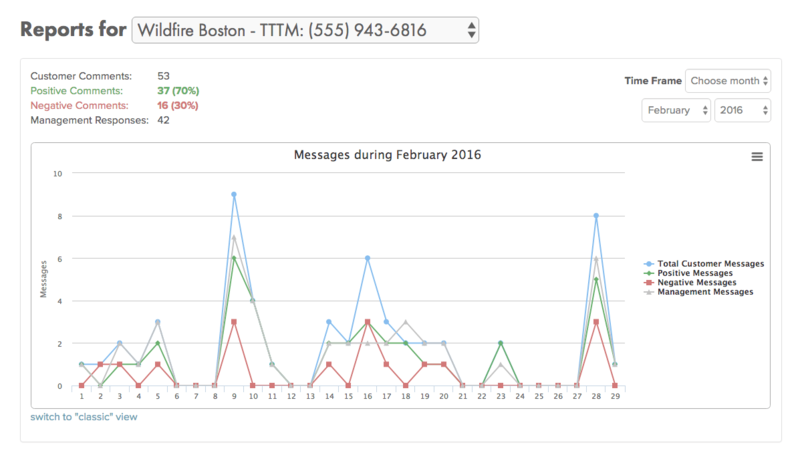 In our granular view, you can see messages across an entire month (by day) or day (by hour) and click to view messages. Click for a full, annotated, zoomed view. Basic reports & text message surveys for only $69 per month.